The Bottom Line: What Does The State Of NY And CA have in Common? You have to ask yourself: What could be the purpose of a Gun Registration? 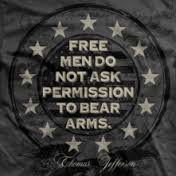 After much thought the only answer can be – 'Gun Confiscation' and the total loss of all your Rights and Freedom. Nearly one hundred thousand New York Constitutional Americans tell Governor Cuomo what to do with his illegal Gun Registration. There’s an extremely common misconception about the state of New York in which Americans believe that everything within the Empire State’s borders is a left liberal hate America wasteland. In reality, things are much, much different. New York is much like California, in that a very small part of the state rules the entire rest of the state. In California it is the coastal and southern regions that have the majority of the population, and that' population is a majority socialist hate America population wanting to secede the entire state from the Constitutional Republic of America. This leaves more than three quarters of the land mass at the mercy of just 22 percent of the state. This is why the legislature is a hate America super-majority. The state of New York is in much the same situation. Given the system of government bestowed upon the state, (and the nation, for that matter), where majority rules in a voting setting, Socialist New York City is an enormous factor in this misrepresentation. Similar to California, the widely ignorant socialist locale in the southeastern coastal corner of the expansive state is only a few square miles across, but packs an enormous punch in our Representative Republic. It is truly a little blue speck in a sea of red, with conservative values ruling most of the rest of the state. And to put the size of New York State into perspective, it would take you well over seven hours to traverse from the Big Apple to the farms and mountains of the northern Buffalo area, and less than 45 minutes to cross NYC in rush-hour. Now, as the tyrannical socialist’s legislature attempts to install a handgun database registration across the entire state, up-state New Yorkers are flat out ignoring and defying the new law, effectively telling Governor Andrew Cuomo to take the entire plan and shove it. “The SAFE Act has been popular in urban areas, according to polling data. But some rural gun owners have resisted from the beginning. As the first big handgun registration deadline approached this winter, for people who got their guns prior to 2013, the pushback grew more intense. California has a similar un-Constitutional registration law about assault weapons and ammunition. Surely this issue will come to a head again in the not so distant future, and we have to wonder if this will be the issue that finally splits the Empire State into New York and New Amsterdam – an idea that has been around for decades. For a similar plan for California click on this. Will this be the future of America? States splitting up or seceding altogether from the Constitutional Republic! Will this cause another civil war? Where is Mr. Lincoln when we need him? Abraham Lincoln once said, “The philosophy of the classroom in one generation will be the philosophy of government in the next.” You need to debrief your kids every day my friend.